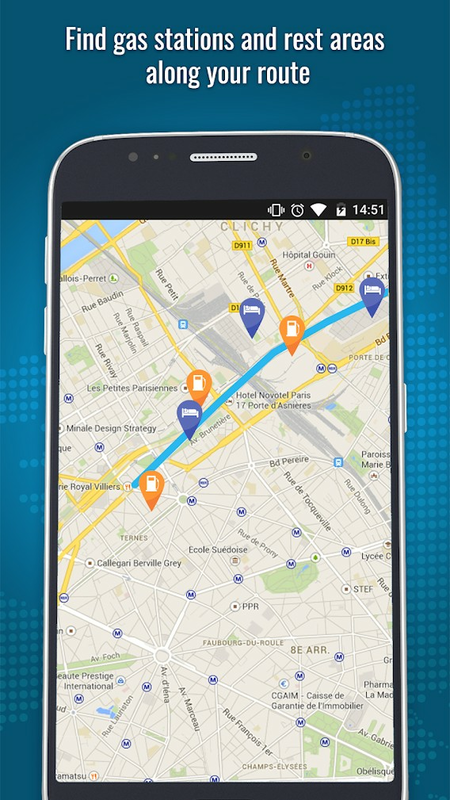 Find Nearby places, GPS, maps & Navigation help you find your ways around town! 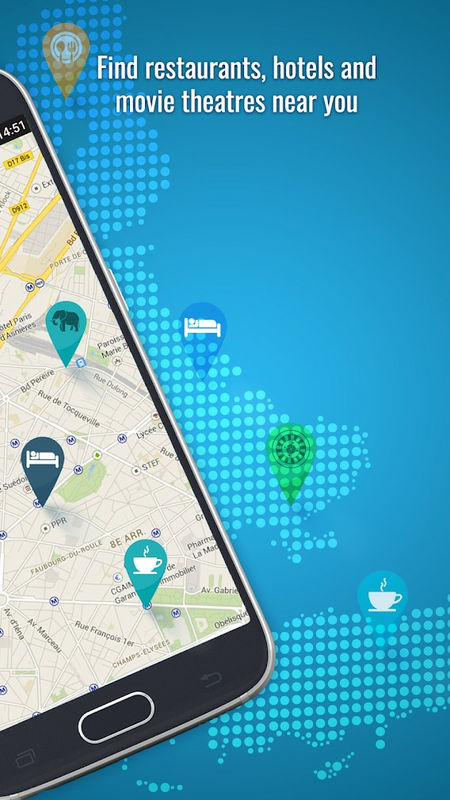 Find Places Near Me app works globally with all the interesting places you want to explore and navigate. 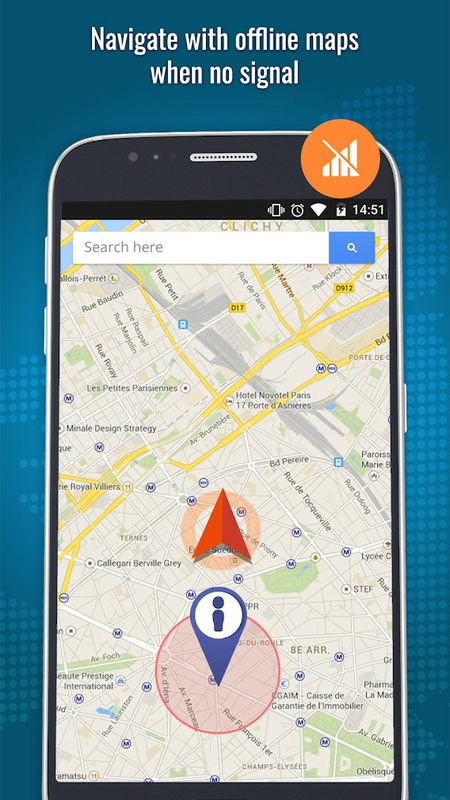 This application will find your location instantly based on your geo-location and radius you are in. 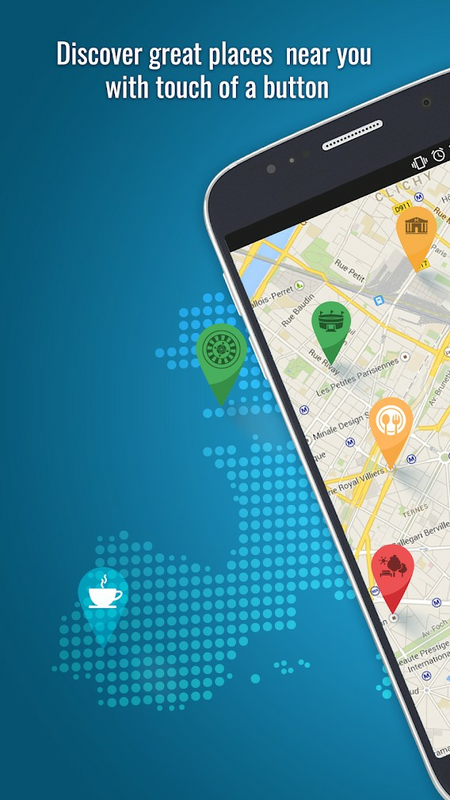 With find places near me app you will have access to everything you want like Restaurant, Bar, Café, Hospital, ATM, Bank, Gas Station, Shopping Malls, Hotel, Taxi, Movie Theater, Beauty Salon, Emergency Centers etc. with their contact details, reviews, address & driving directions. Quick restaurant finder option provides an easy way to find the best food offers and places to eat near you. 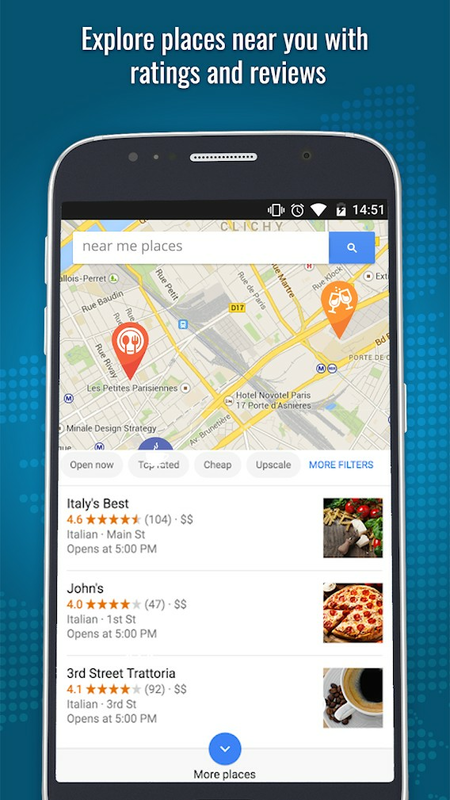 If you allow it, the app can find the nearest restaurants just by using your location. However, if you already have a place in mind, type in the address, the name or the zip code and let it work for you! GPS & Navigation: Transit, Traffic Updates & Maps is the official app you can rely on for real-time GPS navigation, traffic updates, transit, offline maps, travel alerts, directions, street view, GPS speedometer, maps, maps directions, navigation, maps traffic, traffic conditions and details about millions of places of interest, such as airports, restaurants, hospitals, bars, café, cinema, popular food places and other popular places. 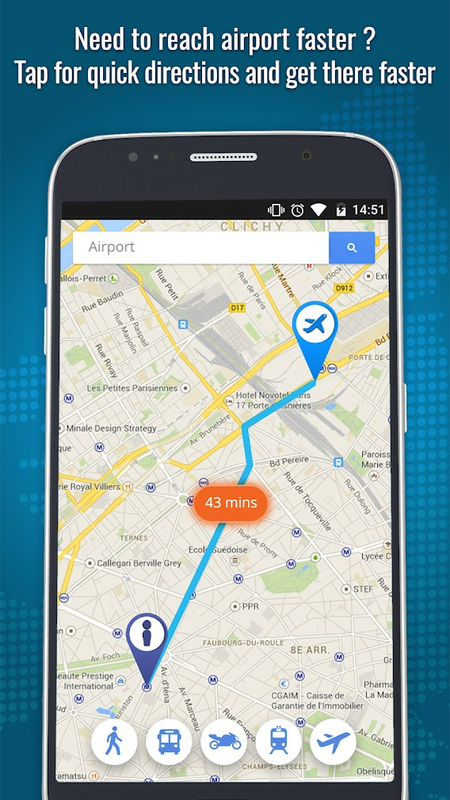 You can enjoy unlimited navigation features with no hidden costs. 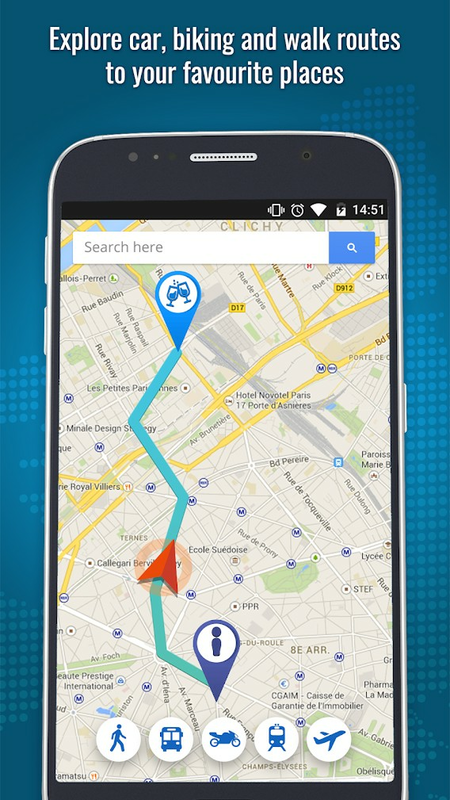 Free GPS & Navigation has a unique GPS search experience using direction maps and complete route guide using voice that helps users find directions without touching the application. In addition to voice navigation, users will benefit from Live maps, automatic rerouting when conditions change on the road, and find restaurants, bars, hospitals and much more.